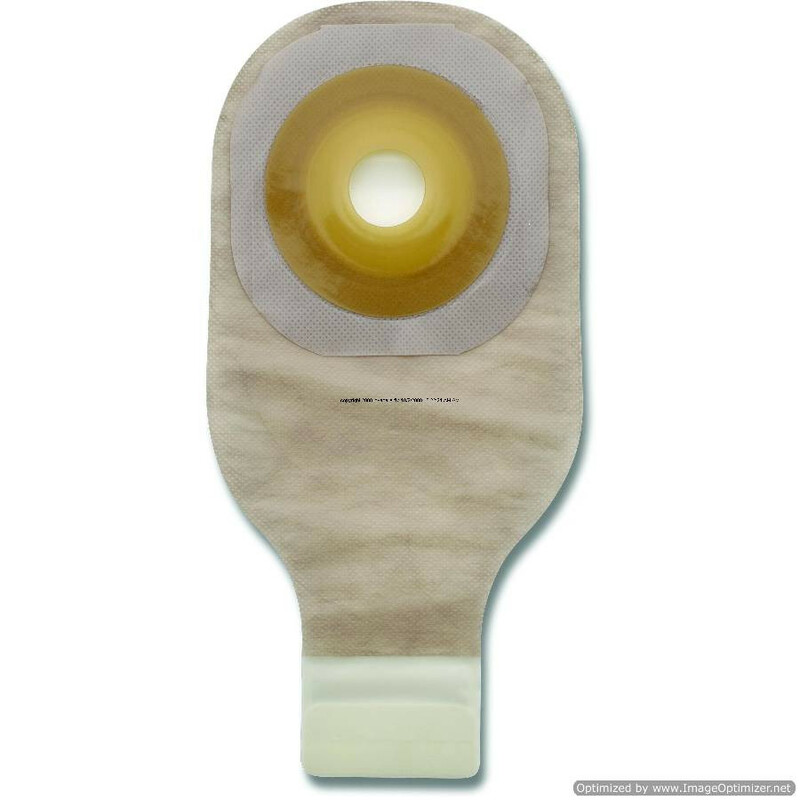 Hollister Premier One-Piece Drainable Pouch with Convex Skin Barrier and Lock 'n Roll Closure offers a pouching design with drainable bottom opening for individuals with frequent stoma output. The one-piece pouch with Flextend barrier means you don't have to change barrier until the entire appliance is changed out. The Flextend barrier is an extended wear skin barrier because it's durable and resists erosion to maintain healthy peristomal skin. 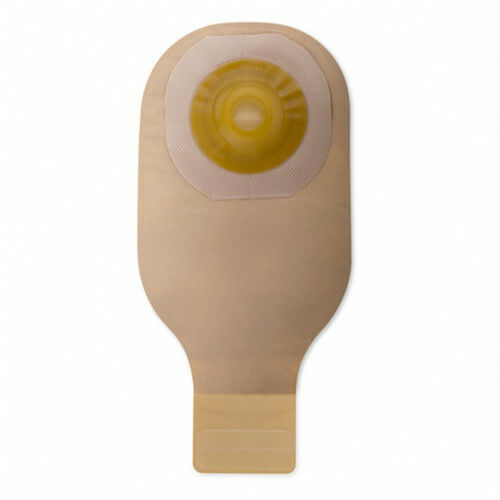 It's woven with porous tape helping the ostomy pouch be rustle-free so wearers can be completely discreet and have a quiet wearing experience. Hollister Premier Drainable Pouch with Convex Skin Barrier and Lock n Roll Closure is equipped with a comfort panel to be soft against the skin. It's added to both sides of the beige pouch and the body side of the transparent pouch. The bottom of the drainable pouch features a Lock 'n Roll closure, making it easy to use with interlocking fasteners ensuring each time it's closed it's secured. You may also be interested in other popular ostomy care products manufactured by Hollister such as Adapt Paste designed to fill in any gaps for a tight seal and Universal Adhesive Remover Wipes that not only remove appliance adhesives but gently lifts the barrier for easier removal. The Hollister 8510 is very easy to apply and very comfortable. I have tried seral different brands and I preferthis one above all others.